The Antal Global Conference (#AGC) is an event, the magnitude of which can only truly be appreciated by those attending. It is a once a year gathering of all the top performing offices and business leaders from across the Antal group of companies which includes Parkside Recruitment and Smart Moves Recruitment. The energy radiates from the conference rooms as everyone greets colleagues and friends, old and new, a marvel to witness as it adds the third dimension to many relationships, cementing connections. Preparation for the #AGC begun early 2017 and the smooth running of the event was proof of the meticulous planning that went into the event. Attendees and VIP guests travel from all corners of the globe to attend. It was tipped to be the biggest ever conference for Antal. The first day of the conference is centred on networking and discussions about the Antal business. Tony Goodwin, our Antal Founder, opened the conference with his welcome message which encouraged everyone attending to network and share as much business as possible to ensure a return on the invested cost of attending the event. The theme of the conference, Tony explained, was one of being proud of who and what everyone at Antal had and will achieve. During the Owners meeting, in appreciation of the magnitude of pending GDPR legislation, time was carved into the agenda for our expert speaker from Law Speed to explain the significance and steps needed to be compliant with the new data regulations. Carlos Benito our Networks training guru took to the floor to lay down the gauntlet, he challenged those interested to make 2018 the best year ever to join the “Million club” or the Super Biller club. Carlos captivated the room with his practical advice on framing questions in order to get the right answer, that at the end of the session, everyone was keen for more. Doug Bugie, President of Antal Networks, Ashleigh Fitzgerald, Operations Director and Tony Goodwin took centre stage in an open session where questions and comments from owners were welcomed. The session offered a frank and open exchange with participation from a wide number of owners, key areas of further discussion and improvement were highlighted. The day closed with an opportunity for everyone to Network and share business before an evening of team building and fun. The next day was an early start, everyone was rearing to go. Tony opened the day by sharing key indicators from the recruitment market, impressive evidence that demonstrated the industry has significant depth and sustainability. Tony also discussed the activity and performance levels across the industry and challenged everyone to find solutions to reverse the trends in performance, he argued that the end of the month should not be the peak of activity; this should be eventually spread through the month. This would have a positive impact on the results too. 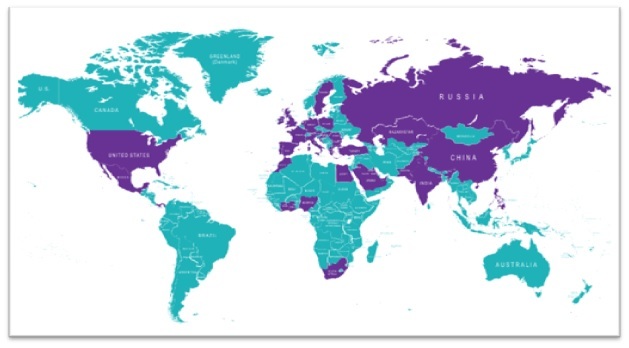 The map of Antal’s global recruitment capability made for a powerful illustration of the company’s expanding reach and also, more importantly where there was further opportunity to tap into and explore! We were privileged to have Dererk Redmond as our guest speaker, his address really hit home as he stressed the preparation needed to achieve his sporting success could be mirrored in business. There was not a ‘dry eye in the house’ as he moved us with his deeply emotional and heartfelt life challenges, we all felt his pain and we all celebrated his success. He emphasised the importance of having PRIDE in one’s self and this being a driver for continual improvement. A spot of “speed dating” was called for in the next session, to facilitate this, the room shifted from table to table, person to person to maximise the opportunity for sharing business. Carlos Benito then hosted a key session on LinkedIn Optimisation with insights into the importance of your personal brand with search tips & tricks. He also followed up on his previous session by challenging the room to follow his techniques and with 2 Hours extra a week, increase fees by + £ / US$ / € 50,000 per year – the room was buzzing with excitement. In the next session, Jonathan Edwards detailed how Antal China has embraced ultra specialisation. This session gave a fascinating insight into the steps Antal China had taken to channel the business through specialised teams, the results have been remarkable. Following lunch, Michael Germershausen and Luc Jones electrified the room with their narrative the development of the Russia business, from the grass roots through to the impressive return to the Antal family. Everyone warmly welcomed them back. A seasoned recruitment speaker, Greg Peake reminded us about the importance of taking the time to talk and also not to overlook the basics. Greg’s session was both thoughtful and engaging as it traced the steps to ensure successful selling. Derek Redmond took to the stage again; we were all in awe, not only of his impressive sporting achievements and his track record but also his advice, if applied would make anything possible. Derek through adversity and challenges went onto win a gold medal and wow, he is quick on the Rubik’s cube! He gave the room a lot to reflect on. The team building session was a surprise and took the majority of the room out their comfort zones. For those that gave it a try, it was a blast…. literally! We were all very PROUD of ourselves and our musical accomplishment. What a day, what a conference, Tony rounded up the event with a hearty thanks to the team for arranging and running a successful conference and to the each of the speakers for sharing their inspiring and motivational messages so openly. There was a quick turn round for evening drinks and the awards dinner…. the climax of the conference. There was great anticipation for the awards, to be nominated or to win an award is a great achievement as they are hotly contested and well deserved…. A special mention for a dear colleague, Vanessa Lungley, Parkside Recruitment, who is no longer with us from Mike Ryall, was both fitting and emotional as the whole room stood to applaud her memory. Now, it is fair to say that Milton Keynes, although not an obvious choice of the venue served us well and we enjoyed having access to the rather impressive football stadium setting for our networking and conference events. The function room was so vast, the 14ft foot dividers folded back effortlessly as we needed more space. There was no need to clear the floor a wait while the room was prepared for dancing…. the party could begin immediately! A perfect ending to a great conference! Post conference, the feedback has been very positive and what delights us most is the volume of business many people have taken back to their office…. so completing the conference challenge, to network and share enough business to make the conference pay for itself! Did you want to be part of the Antal Network? The benefits of joining our Network as a partner are extensive and enable you to fast track your business performance… Contact us on franchise@antal.com, we will listen to your aspirations and talk you through the steps needed to join the team. Interviewing Process: Make Your Sale Work!